Baseball Skill Fundamentals Are Taught Everyday In Ways You Have Never Considered. Teaching Skill Fundamentals can be a subliminal action or a routine thing but has an opportunity which may transform ones capabilities into proven and superb baseball playing skills. Kids on the playground might spontaneously say to a friend "Think fast catch." Even such a simple act just might be the genesis of marking that youngster, quick as a wink catching the object, to develop skills as a slick fielding second sacker. We should not kid ourselves into thinking that throwing, catching and hitting a baseball are the only true baseball playing fundamentals of this game we know as baseball. The love of baseball goes far and beyond the learning baseball fundamentals and the developing of our youngsters for these three basic baseball playing skills. A toddler will quickly grasp the art of throwing and he will early on try to catch and if you hand him a stick he will hit something. Do we equate these acts as being baseball skills? These actions are however the rudimentary forerunner of the teaching skill fundamentals and the execution of playing skills. The only thing left for us as coaches and instructors is to capture this innate sense of doing the natural things and turn them into eye stopping all-star playing skills for our young charges. The teaching skill fundamentals for a beginner in baseball should start with the very basic fundamentals of the game, believe it or not, beginner baseball starts taking shape while still in the crib however is not realized as Beginner Baseball. The real deep down true genesis and development process of learning baseball fundamentals and the developing of ones playing skills involves more complete teaching and putting natural habitual actions into basic and simple reaction skills. Living and learning starts when an infant lying in his crib begins to react to things around him. When he hears a noise, he turns his head to look for the source of the sound. Blow into his face and he will close his eyes for protection of the eyes. Hold an object in front of him and he reaches to get it. These you see are rudimentary fundamentals. When given more time other fundamentals become apparent. To say, "I'm going to get you," to a youngster, he will turn and run. Quick as lightning, he learns the body language involved in someone going to give him chase. Now we are getting into true teaching skill fundamentals. During the formative years of 2 to 6, young children at play begin to sense and learn body movement and body language, almost in a subconscious way. Really, it is conscious observation which develops early and continues to fine tune itself to second nature responses through out our lives and in teaching of the advanced baseball playing skills it manifests itself as All-Star players. Many other teaching skill fundamentals of natural reactions become manifest. If you give way with your arms and hands when catching something, it feels better and you can control the catch better. When you throw harder the oject thrown goes faster and farther and with more zip. If you really rare back and try to knock the stuffing out of what you are hitting with a stick, it really takes off, way off. Have us together in the teaching skill fundamentals at this point we haven't even come close to a baseball diamond or held a bat or put on a baseball glove? No, but you have been intoduced to some things you do which will enhance your capacity for teaching skill fundamentals well before ever playing the game. All I am trying to enforce is that the basic things we learn to do naturally become the building blocks upon which teaching skill fundamental and the follow on playing skills are developed. There is no need to reinvent the wheel. Simply balance the wheel so it rolls smooth and easy. Observe the natural baseball fundamentals of body movement,body control,habit of staying focused, body reaction speed and such of any young baseball player and try to have him improve on his natural way of doing the action. Here are some of the things we may readily observe as natural. Does he throw left handed? Does he bat left handed or right handed? Does he stand at the plate with a wide stance? Does he follow through with body and arm when throwing? Does he fear getting in front of a ground ball? Does he naturally give with the catch? Does he swing the bat lazy or with gusto? Does he instinctively move quickly for the fly ball? There are so many more things to look for when observing boys or girls being introduced to Tee-ball or Little League in those beginning years. Before ever showing up at your ball field, they were introduced to some of your teaching skill fundamentals without even knowing it. You will need to simply reinforce their abilities by stressing the improvement of technique and encouraging them to practice these techniques till they are proficient and comfortable doing the teaching skill fundamentals using a baseball. Here are some of the best baseball skill fundamentals to teach every youngster. Youngsters armed with these, time proven principles, will without question outperform the competitors all the years of their baseball playing days. Thrown or batted balls that reach the fielder above the waist should be caught with the thumbs together. Thrown or batted balls that reach the fielder below the waist should be caught with the small fingers together. The fielder should "give" with the ball as he catches it. The fielder should have his head turned toward and his eyes focused upon the ball until the ball has been fielded cleanly. Except in pitching, the ball should be thrown with a cross-seams grip at all times. All throws should be aimed at at the chest of the intended receiver, and the ball should be delivered quickly. A low throw is always better than a high throw. The difference among the sidearm, three-quarter, and overhand throws is in the degree of body lean and not in arm position. The primary goal of the thrower (the pitcher excepted) is to throw a straight rather than a curving ball. In making a throw, the player should step directly toward his target whenever possible. In throwing, force is generated by efficient summation of the momentum or by the total body motion (feet,legs,back,shoulders,arms,wrist and fingers) during the throwing. By the natural order of things and differences in baseball skill fundamentals aa the levels of the various beginners, we know the variance is huge. The Little League player heading into Pony League, lets us put more and more emphasis on baseball fundamentals which really count. The love of baseball is a process of many little subtle changes in the lives and habits of the players. When teaching skill fundamentals of body control, physical strength, dismissal of natural fears, improved skills, and natural instincts of competition kicks in, we will have found a winner. Learning to play ball be it baseball or football soccer or what have you there is a strong contention of many and count me a party to this philosophy that playground teaching of rules is the real learning grounds for baseball game rules and lifes lessons. Let's momentarily go back to where I mentioned a youngster will quickly observe and begin to read body language. 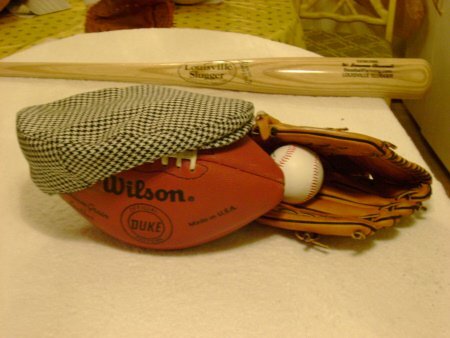 Well ole shoe, what has that got to do with baseball? A hitter standing in the batters box swings that bat with authority and his body reacts like a fired howitzer. All outfielders know by instinct to back up two, three or more steps. Way back at an early age good ball players learned without somone teaching skill fundamentals that a hefty swing of a hitter whose body ripples with power, is a force to deal with. Those steps backward are learned baseball fundamentals observed well before his time on the baseball diamond. Time on the diamond has and will simply reinforce those early on learned baseball skill fundamentals and the jim dandy proper teaching skill fundamentals is where we will farm from those Field Of Dreams our future baseball legends. The infant turning his head toward hearing a sound is a natural response. A baseball player by the sound of the bat hitting the ball instinctively moves based on the learned sound of that crack of the bat. The basis for baseball skill fundamentals are implanted into our learning curve well ahead of learning the sweet smell of a new glove, the feel of a bat or the umpires cry of "Play Ball." None of the Teaching Skill Fundamentals is more important to the baseball player than his baseball hitting ability as a player and his artful skill and the thrill of a solid bat on ball safe hit. In baseball the real name of the game is hitting. The hitter should use a bat that fits his capabilities and style. The hitter must be aware of his team's offensive signals before he steps into the batter's box. While he is waiting to bat, the hitter should observe the pitcher. The three basic batting stances are: a)open b)parallel c)closed. The hitter should adopt a stance that is comfortable and that suits his style. The stance used should be partially determined by the game situation and by the type of pitcher that the hitter is facing. The grip used is a matter of personal preference and purpose. In the hitting stance, the hands should be held high and away from the body. The hitter's wrists should be cocked. How the hitter distributes his wieght while in the batter's box is a matter of personal preference and purpose. There are three basic types of strides: a)straight b)open c)closed. The stride should be relative short and to a predetermined spot. The position of the back foot is not a crucial factor if hitting. The hitter should have his head so that he always has the best possible view of the pitch. The eyes should not be focused on the ball, but rather directed toward the pitcher, thus allowing the ball to move through the full range of vision. The "hitch " should not be eliminated from the swing unless it is obviously detrimental to hitting performance. The most important factor in the force of the swing is the speed at which the bat is brought into contact with the ball. The hitter must learn the strike zone. The coach should be aware that there are diffrernt styles of hitting, and he should make a judgment as to which style is most natural for each of his players. The cookie mold model is phooey. "Hope I have stated my case clearly. The baseball game and teaching skill fundamentals are however much more than throwing, catching and hitting." Playing baseball is a compilation of mind set, a character test, skill development, perserverance and many disciplined learned processes and is a coat of many colors. The process of developing playing skills and winning games secures a reality in life for many of a profound love of baseball. The names of William Hoy and Luther Taylor, two deaf ball players, observed and learned about baseball and accepted the teaching skill fundamentals with a passion. Their contribution to the game of baseball, for forging and forcing the use of hand signals used by the umpires, is vivid proof of learned baseball skill fundamentals preceding the actual playing of the game. 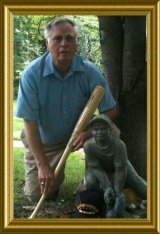 In remembering Mr William Hoy and Mr Luther Taylor we are also indebted to both of these, gentlemen of baseball, for teaching us that the teaching skill fundamentals of the game to the full spectrum of four stike baseball players, kids eager to learn baseball is far more than the throwing, catching and hitting. The passion, the will and the grit for learning well the total aura of baseball and combined with receiving the teaching skill fundamentals and making it a vital part of their life truly symbolizes the love of baseball by Pete Gray and Jim Abbott are what makes the game of baseball great. Teaching skill fundamentals of baseball, as epitomised in the the lives and playing acumen and demonstrated skills of Hoy, Gray, Taylor and Abbott, proves learning baseball skill fundamentals for the game is a total process learned on and off the playing diamond. Jim says about his missing hand, "It really wasn't an issue when I was a kid." During college, he racked up 26 wins against 8 losses at the University of Michigan. He won the Sullivan Award as the nation's best amateur athlete in 1987. He won a gold medal in the 1988 Olympics. As a rookie in 1989 with the California Angels, he achieved a 12-12 record and is one of a scant few major league players to completely bypass the minor leagues. Jim's career pitching spanned 10 years in the major leagues and his crowning achivement was a no-hitter in 1993 with the New York Yankees but foremost was his recognition as simply being Jim Abbott---pitcher. Pete was called up in 1945 to help fill St Louis's roster during World War II. His career lasted only 77 games, during which he batted .218. I have a E-Zine article on my home page giving more details on this remarkable individual. See the "Pete Gray Story on my home page. The game of baseball and attainment of results from your having provided the teaching skill fundamentals stands in the way of no man woman or youngster male nor female who is determined to make it and has the "want to." Teaching Skill Fundamentals are important and are the essential tools for playing baseball but the will and heart to achieve and be winners is something within your young chargers that far exceeds the elements of fundamental playing skills. Beginner Baseball provides more wealth of knowledge than just teaching of the baseball skills for baseball playing check out the Beginner Baseball-page2. Go Shopping 24/7 Save Money.